A new film titled "Peppa Pig Celebrates Chinese New Year" is being released on the first day of the holiday. The movie shows Peppa celebrating Lunar New Year with two new friends -- "Jiaozi" (dumpling) and "Tang yuan" (glutinous rice ball) -- named after popular local delicacies. "It is really fun and the language is easy to understand", their mother, Bella Zhang, said of the girls' obsession with the show. She added that the series was popular with Chinese parents because it teaches "the importance of love and cooperation". The cartoon's focus on family values has resonated with Chinese parents who strictly monitor their children's TV time, agreed Li Xin as she bought a Peppa toy for her four-year-old at a Beijing store. Memes featuring the beloved children's character had also started to take on dark undertones at the time, occasionally veering into violent or pornographic territory. 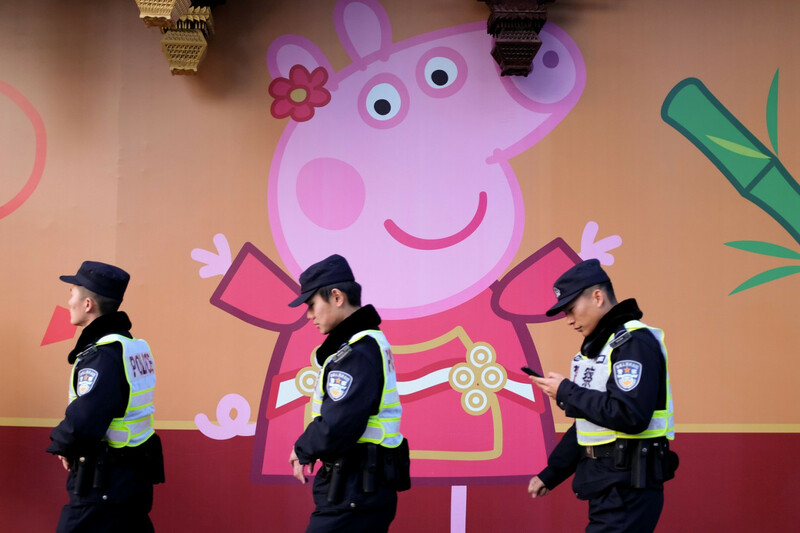 "No matter how gangster Peppa Pig becomes, it cannot be allowed to destroy children's youth [or] break rules," The People's Daily said in an editorial last April. The shows have been watched around 60 billion times on the country's largest video streaming sites, including Tencent Video and iQiyi, since it first launched in China, said Jamie MacEwan from British TV analysts Enders. "This figure is up from 24.5 billion by May 2017, showing how China's appetite for Peppa has only increased," MacEwan told AFP. A trailer for the movie, directed by Chinese film-maker Zhang Dapeng, has gone viral with the hashtag "Who is Peppa" being viewed more than 1.6 billion times on China's Twitter-like Weibo, a spokeswoman for Alibaba Pictures Group told AFP. The promotional clip shows a rural villager's quest to find out what his city-dwelling grandson wants when he asks for "Pei Qi" -- Mandarin for Peppa Pig -- in a bid to create the perfect Chinese New Year gift in time for the boy's annual visit. The trailer struck a chord with Chinese audiences because it "showcases the same values highlighted in the movie -– family, reunion, harmony and love", Zhang wrote on Weibo. But the success of the Peppa brand has also brought headaches for the cartoon's creators. Copycat merchandise -- from cookies to pencil cases -- can be easily found in corner stores in Chinese cities. He added: "In China, Entertainment One has a dedicated team working on this ongoing issue and have already successfully dealt with many infringements."